The Titan Stage fall production is the famous play by Reginald Rose called 12 Angry Jurors (though it is also sometimes alternately called 12 Angry Men or 12 Angry Women). The story is about a murder trial where the jurors have to decide if a young man is guilty of murdering his own father. If found guilty, the young man will receive a mandatory death sentence. 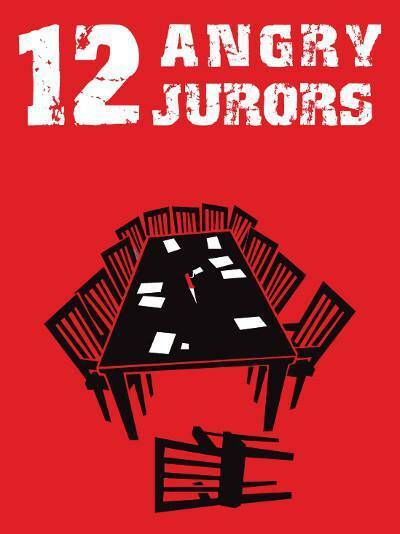 Most of the play takes place in a single room where the 12 jurors begin to debate and soon their own personalities and different opinions begin to reveal themselves as they debate the young man’s fate. The play is a classic piece of American theater and continues to be relevant today as it touches on the subjects of racism and prejudice. The Tuscarora production of this American classic features a cast headed up by Julia Broberg, Eliana Damaska, Delaney Heurich, and Allie Rubin playing the most prominent roles in the Jury room, along with a host of supporting cast members who help to flesh out the narrative. The play is excellent and relevant and supremely acted and produced by an amazing group of young theater enthusiasts. So, if you are looking to be entertained, while supporting the THS theater department, please consider coming out to check out one of this weekends’ performances. The Titan Stage production of this play will take place this weekend on Friday November 16th and Saturday 17th at 7:00 p.m. both nights. The price of admission is $8.00 for students and $10.00 for adults.